Devon and Cornwall remain some of the most popular holiday destinations in the UK, offering some of the best coastline, countryside and varied towns and cities in the country. Here we highlight below some great and varied places to stay in the region, all of which also just happen to have benefited from the expert advice of our specialist hospitality finance advice team at Stewart Hindley and Partners to put them on the road to success. 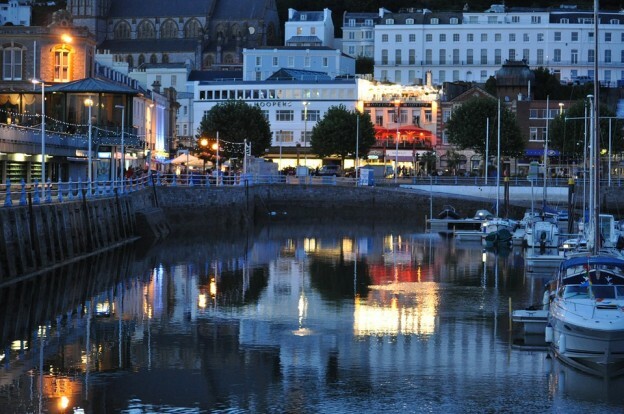 Torquay – famous for being the largest town on the “English Riviera” and a popular choice for thousands of visitors to Devon. Blenheim House B&B in Torquay has everything proprietors Lee and Elaine Ratcliffe were looking for – a good location close to the seafront and train station and accommodation which had just been recently refurbished (so wouldn’t need a lot of money spending on it) and a manageable 5 guest rooms. Exeter – The Exeter Townhouse is a lovely boutique B&B is set in a quiet corner of Exeter city centre yet just a few minutes stroll from the Cathedral, the Royal Albert Memorial Museum, the Quayside, shopping centres, restaurants, university and train stations. The Grade II Listed property has been brought up to date with period and contemporary features offering 9 stylishly decorated rooms. They were awarded a Certificate of Excellence by Trip Advisor in 2016 and 2017 and a 5 star rating from the Food Standards Agency – the highest possible food hygiene rating in the UK. is just a few minutes walk from the beach and town centre. The property has 6 en-suite bedrooms and spread over 3 floors and has proved an ideal location for our clients, Paula & James, to set up their new bed and breakfast. Paula & James had owned and operated a bed and breakfast business so had plenty of experience on which to build their new venture in Bude. Having found their perfect property they soon realised the benefits of using a specialist finance broker to source the necessary funds to purchase it. Having contacted us at Stewart Hindley & Partners we worked with them to secure the best B&B finance deal available to them and took them step by step through each stage. Penvith Barns has a 4 star rating on Trip Advisor, offering beautiful accommodation just outside Looe with access to lovely walks including the South West Coastal Path to Looe and Seaton Beach. Guests can come and as they please and relax in the tranquil surroundings with views over superb countryside. It’s also close to some of Cornwall’s best beaches and makes a great base for exploring Cornwall’s Attractions. We are proud to have offered the B&B finance to put Penvith Barns on the map. f you are looking to start up, or purchase an existing hospitality business, wherever that may be, then why not contact our friendly team of specialist advisors now for advice and information on the best hospitality finance packages available today.